Cramer-Krasselt’s integrated, marketing-driven approach to public relations continues to win top industry awards. Leading integrated marketing agency Cramer-Krasselt (C-K) won eight industry awards for its public relations and social media work last month. The awards highlight C-K’s data-inspired, real-time, tech-integrated approach to telling clients’ stories globally across multiple relevant channels. The awards range from local to national recognition, including two Silver Anvil awards recognizing C-K’s global campaigns. The Silver Anvils are sponsored by the Public Relations Society of America (PRSA) and recognize the best in strategic public relations planning and execution – also referred to as the Oscar of the public relations industry. 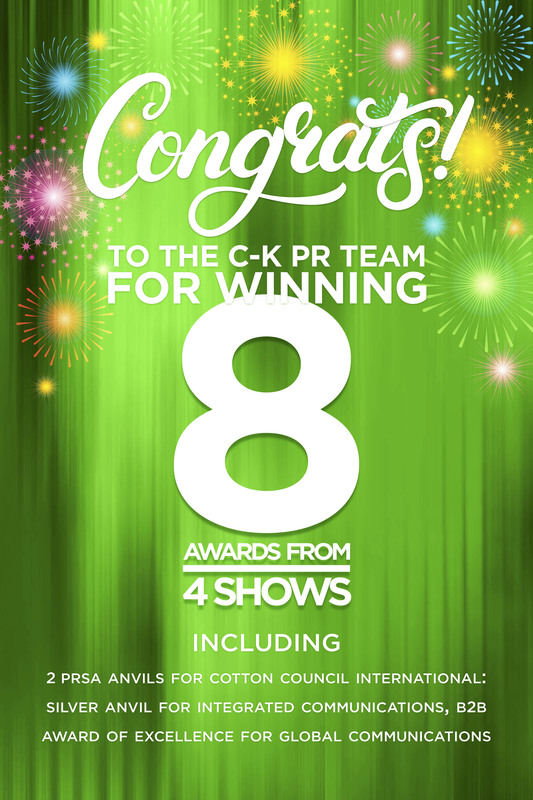 In addition, C-K received a Best of Show mention for receiving a perfect score, a first-ever, on behalf of the PRSA Chicago Skylines. The PRSA Chicago Skylines is a local extension of the PRSA Silver Anvils, recognizing exceptional communications programs in Greater Chicago. At C-K, PR and social media are not a single-focus discipline only emphasizing earned media or one-way communication. The PR and social media practice, like all practices at the agency, is linked in the marketing mix because today’s consumers don’t get their information in silos and, to engage them, brands must follow suit.